Please join the Department of Art in welcoming visiting artist Del Harrow for a lecture Thursday, January 26 at 7:00PM in FAB 249. Del Harrow is a conceptual sculptor and ceramic artist from Portland, OR. His work – consisting of site-specific installations, sculptures, and limited edition objects – explores themes such as: the historical practice and mythologies of individual “Modern” Artists, verbal and visual systems of abstraction, and the visual experience of images in relation to the physical experience of objects. 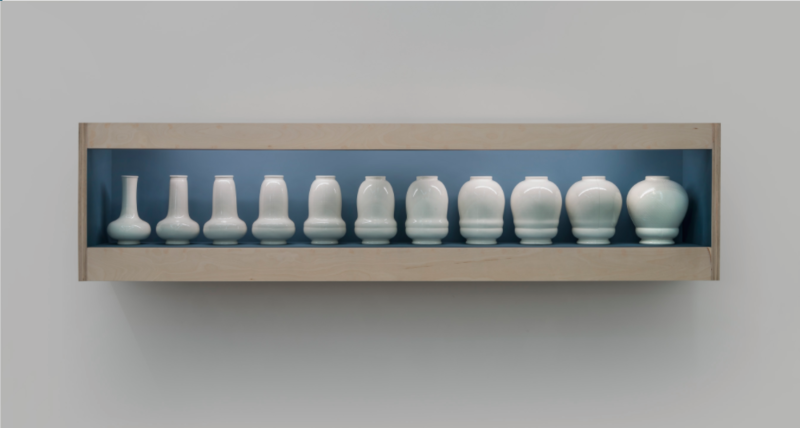 He uses ceramics and the idea of “media specific practice” as a kind of conceptual pivot point – a point of reference – from which to address specific subjects, and the idea of complexity in general, with a process not otherwise tied to any signature form. Harrow holds a BS from the University of Oregon, and an MFA from the New York State College of Ceramics at Alfred University. He is an Assistant Professor of Ceramics at Penn State University.